Geologist use to find new deposits of stone, marble, copper, iron, coal and gold. Each mine has a limited number of mineral so after her exploitation we re-discover it. 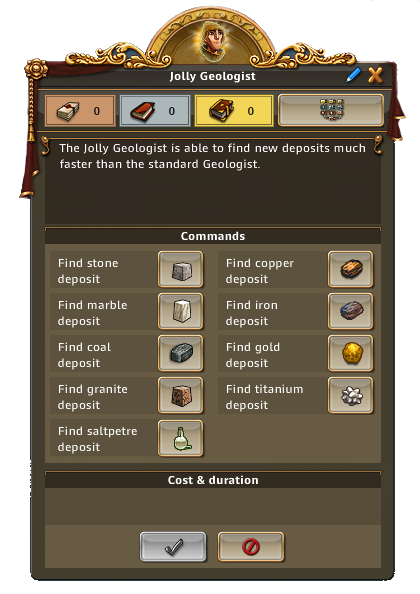 Versed Geologist Available during Christmas Event Finds 50% bigger deposits, 50% faster and has a 50% chance of finding an additional deposit. 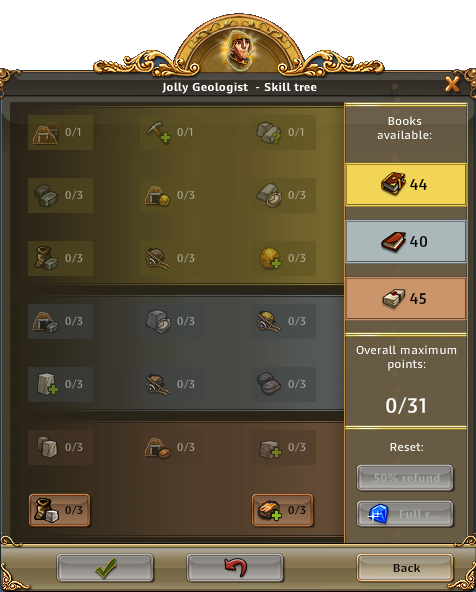 Charming Geologist Available during Valentines Event Finds 100% bigger deposits for Iron, Titanium and Saltpeter.